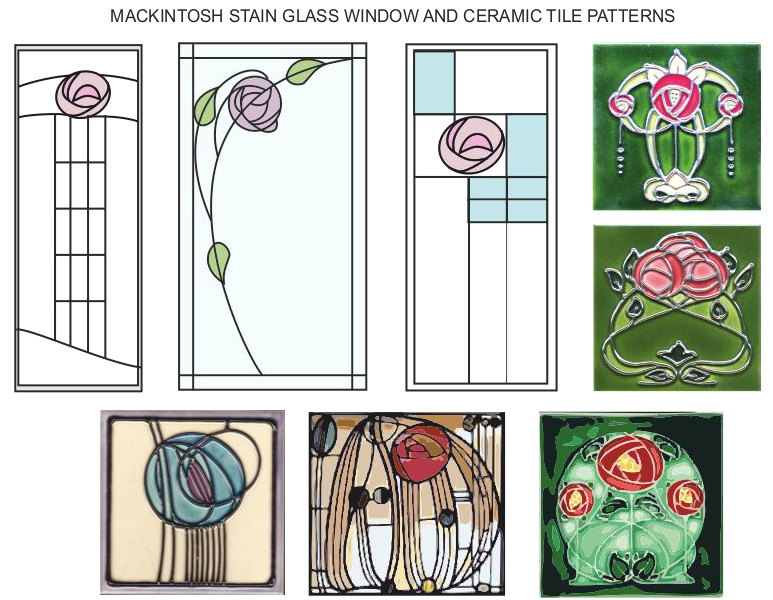 Charles Rennie Mackintosh applied simple decoration, often in the form of a rose, to his designs. He believed in minimalist design, but with some limited decoration. 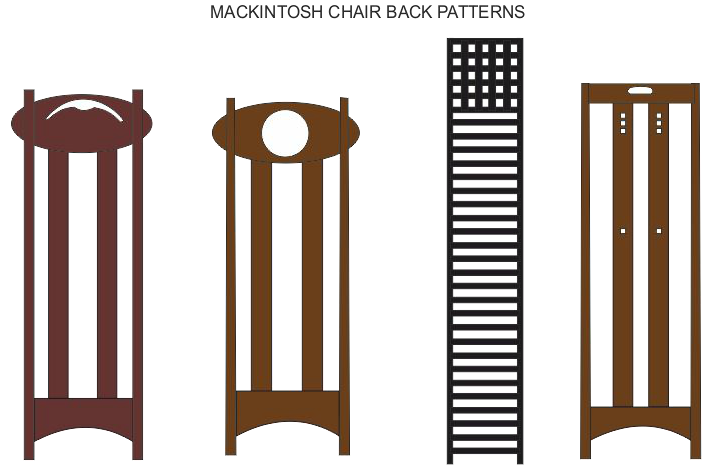 Study the Mackintosh rose designs carefully. Study the two roses below. They have been ‘developed’ to form a simple ‘Mackintosh’ rose, suitable for inclusion on a piece of furniture, such as a storage box. 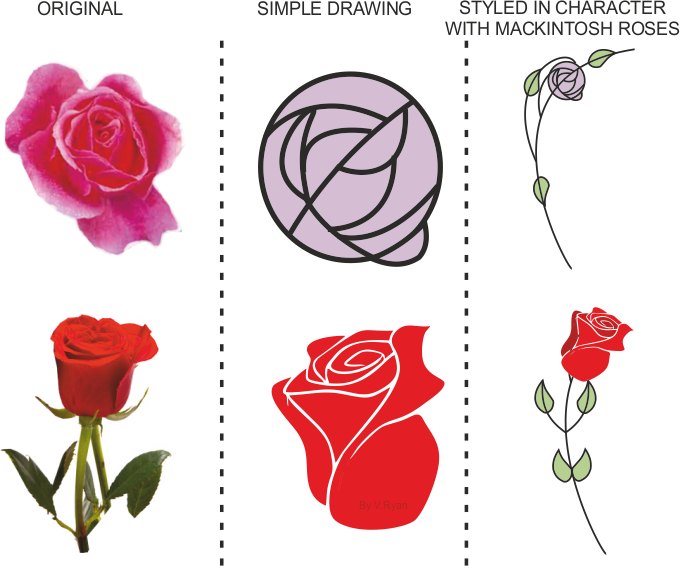 Using the outline of the rose shown below, develop your own ‘Mackintosh’ rose.